It’s been a year since I have visited the good ol’ United States. 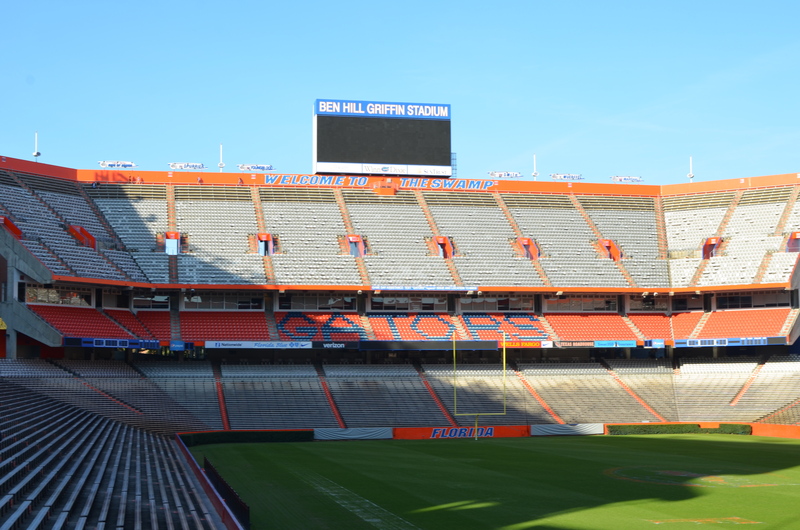 My American adventure last year took me to the sunshine state of Florida. I packed my bags from Europe and set off to Miami first before going up to visit Central Florida, which is where I would stay for a month. 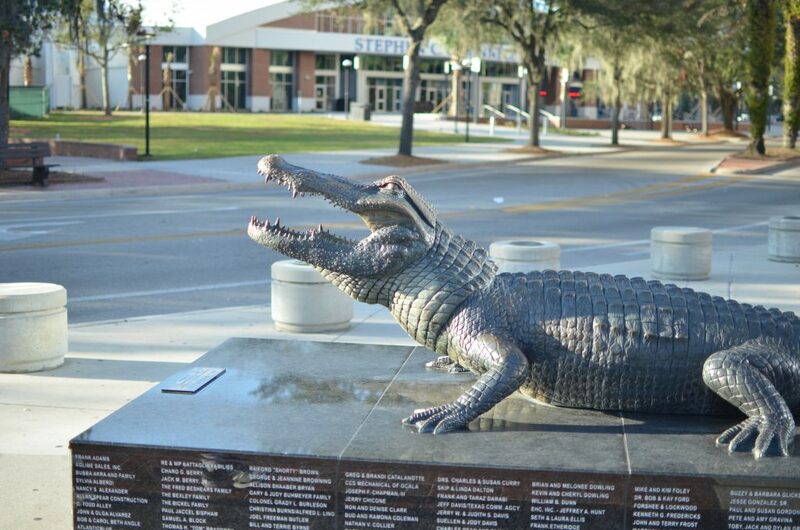 My journey began deep into the heart of Florida in a town called Gainesville. It’s a small town, bursting with pride. You see the town is home to the University of Florida, one of the biggest and most elite universities in the country and my human brother attends the school. Yes, he is truly one of the family, an intelligent bloke, just like me. 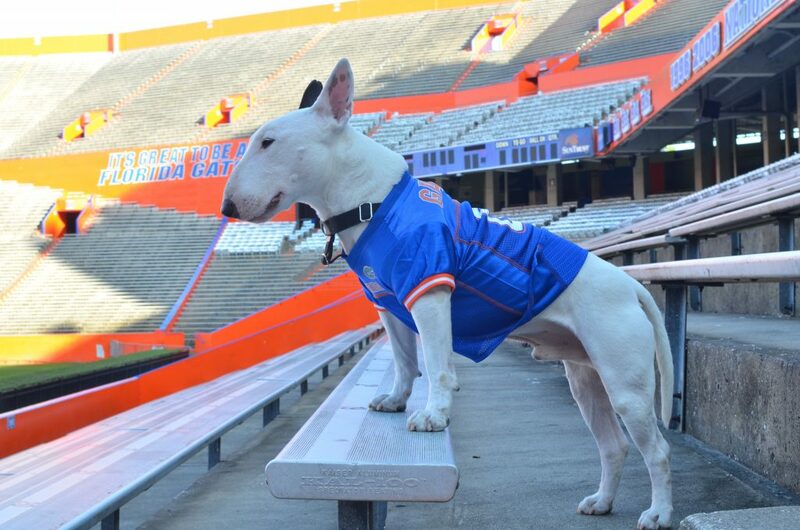 I wanted to show support for my human brother and so I bought myself a nice Florida Gators jersey. 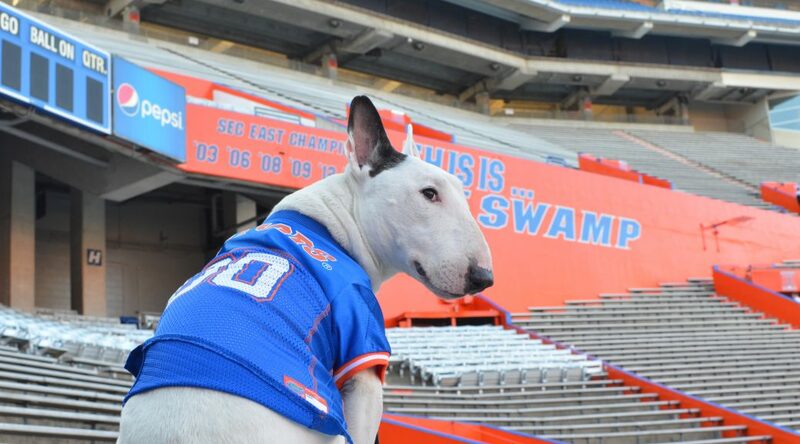 I also wanted to meet this gator in person to show him who the true mascot should be. Here it is. In all its glory. 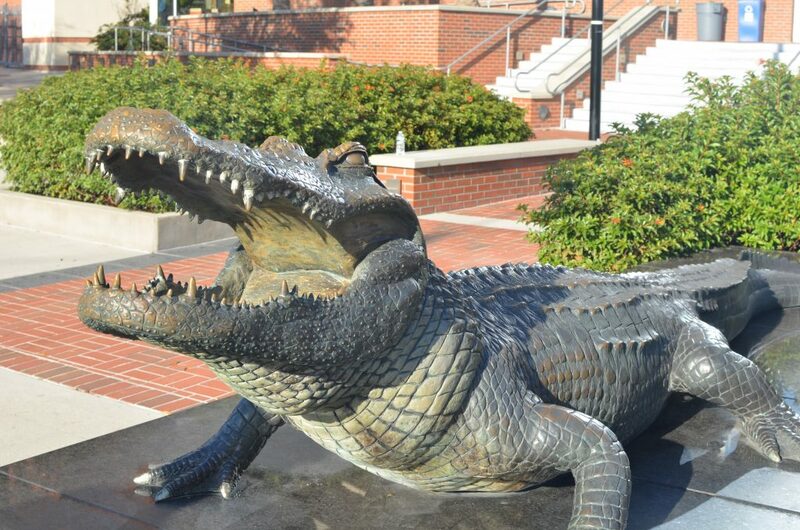 Most would be scared of a gator but not me! We arrived to a campus where it was nearly empty thanks to the winter break. 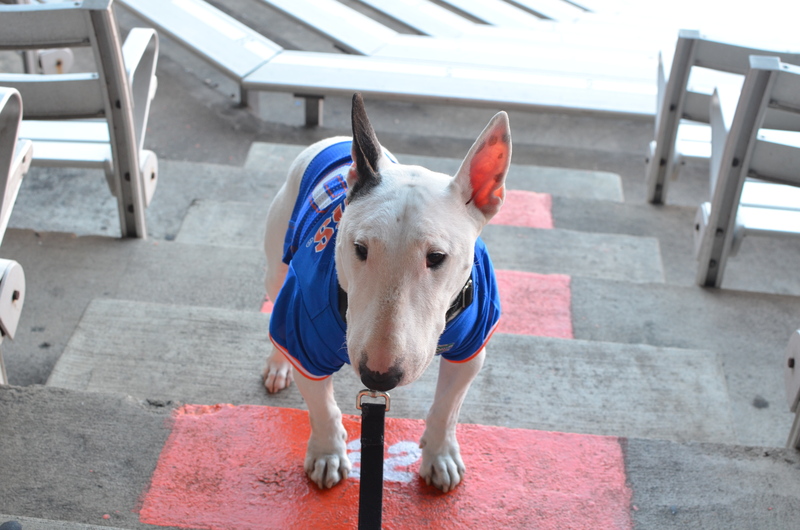 There were only a few families here and there which made our visit even sweeter because normally I don’t think they would’ve let me in the stadium, being that I have four legs and fur. 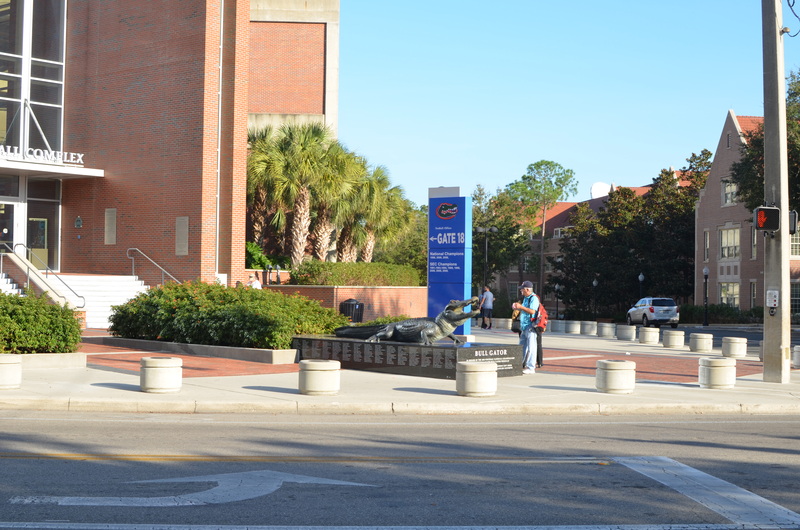 Our first stop around the campus was the massive Bull Gator statue in front of Ben Hill Griffin Stadium. 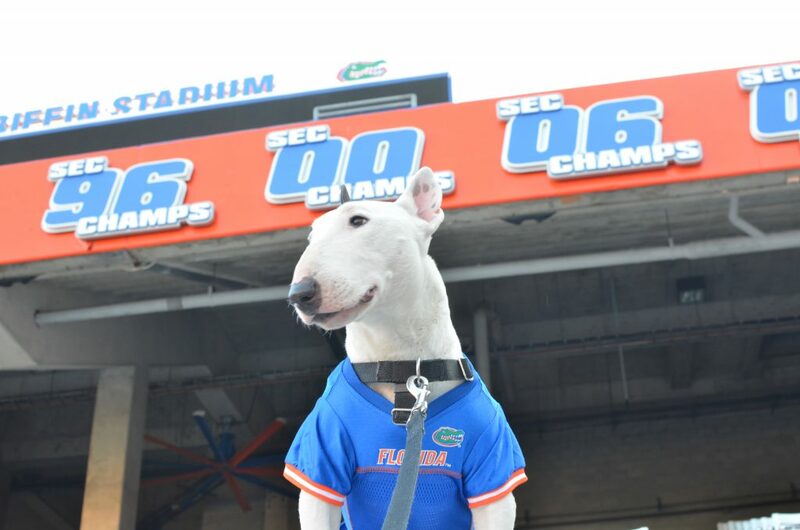 Am I doing a better job than this mascot? Gator vs Landshark. You’ve got the front row seat! 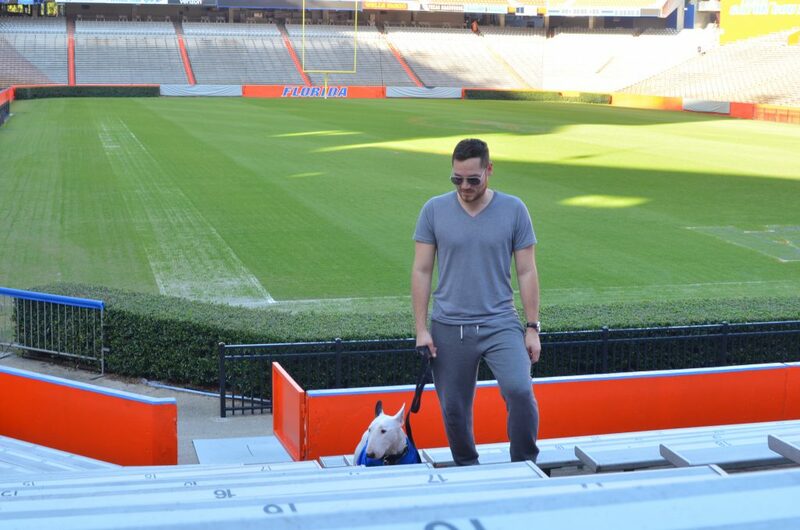 After my brief meeting with Bull Gator in which I proceeded to do a better job at gatoring than he did, we moved on inside the massive stadium. It was glorious! 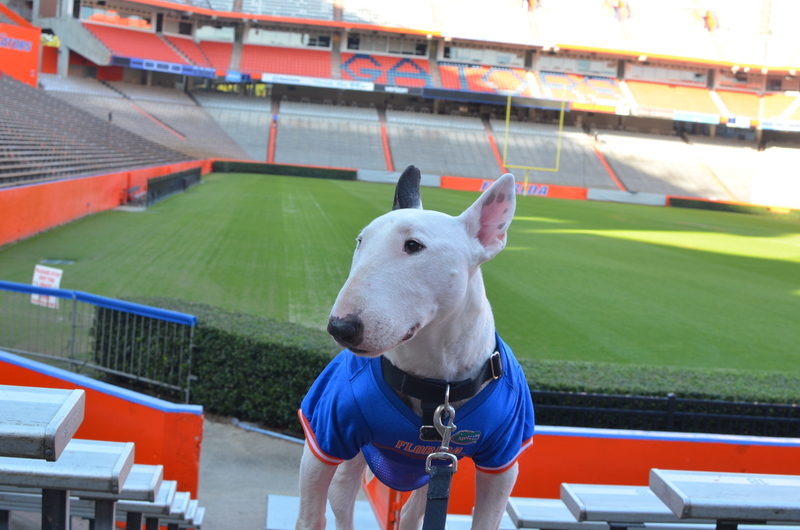 I wanted to run around do laps and play some American football! 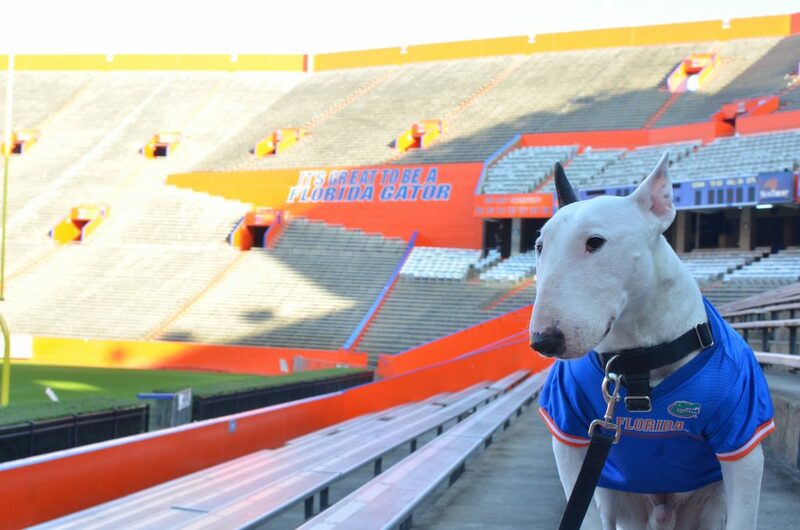 Me, Danny, and my human brother Chris all went inside the Ben Griffin stadium. 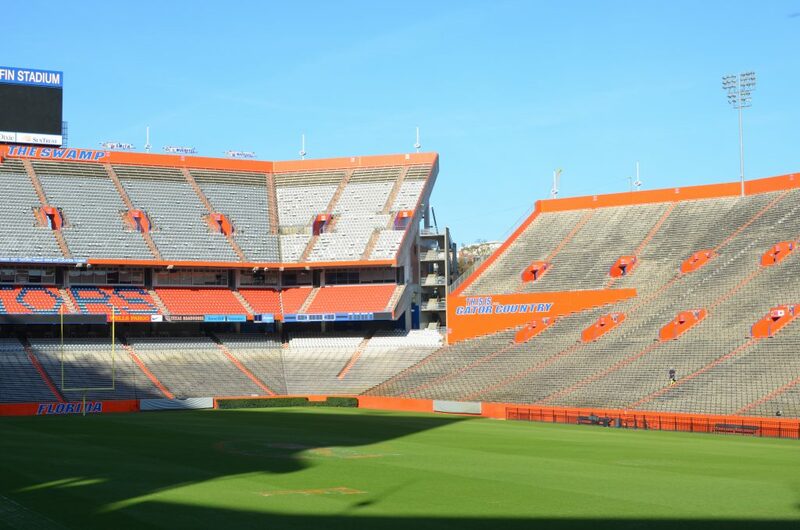 It was empty, save for a few tourists and maybe a couple of prospective students. I kept my nose and eyes sharp for the popcorn and beer vendors, but I guess even they took the winter off. 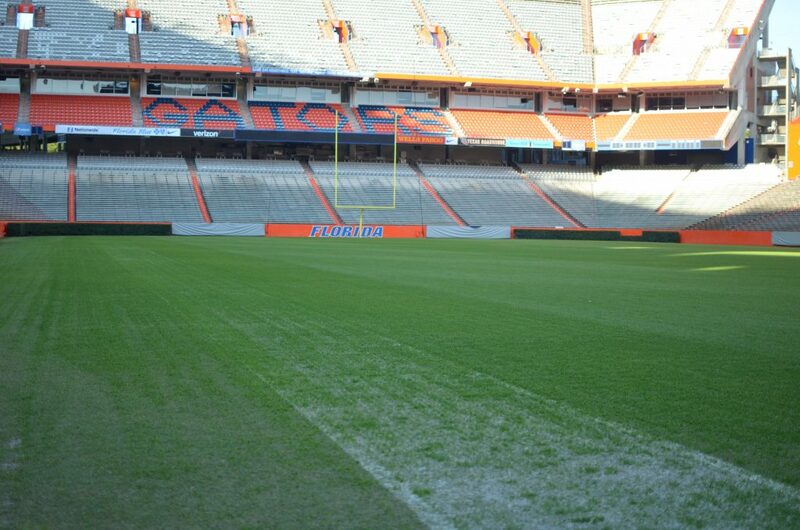 Who wants to see me run around the field? We were surrounded by empty benches but it was still fun as we had more of the place to see for ourselves. The bright orange and blue colors of the stadium just popped perfectly. 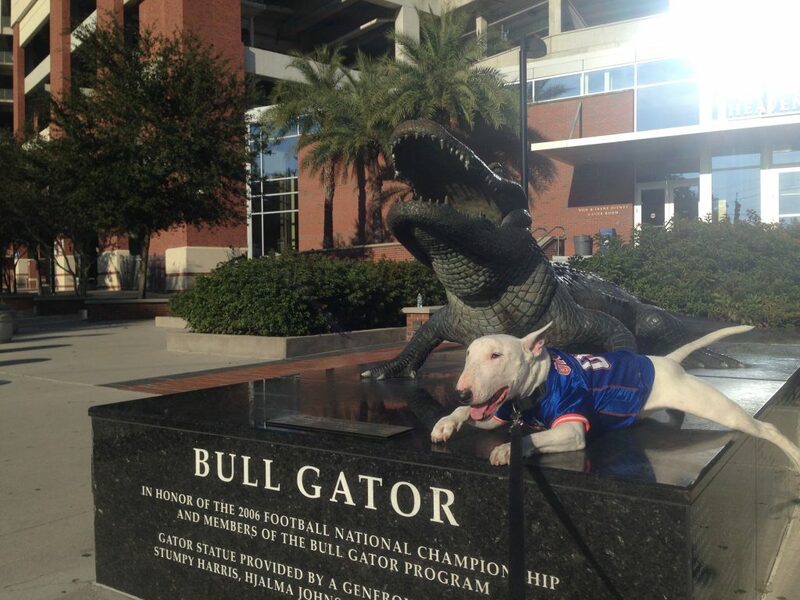 The stadium proudly displayed all of its past accomplishments and of course, the big ol’ gator’s face. 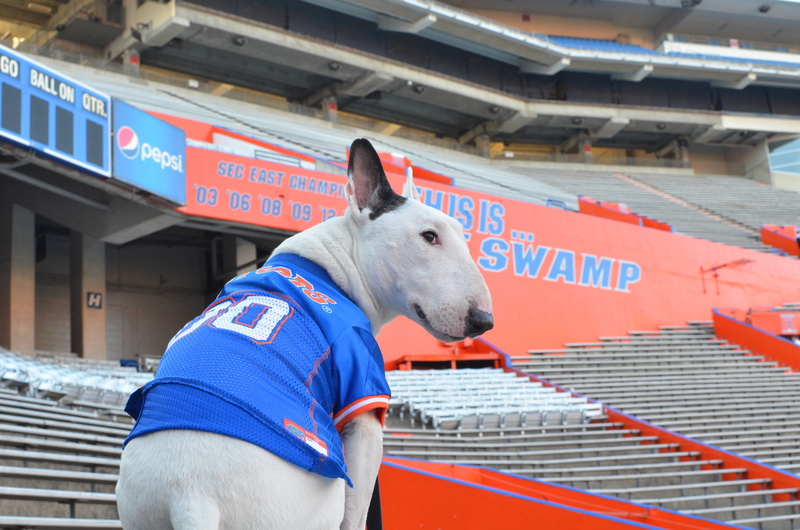 Wouldn’t I make such a good mascot? 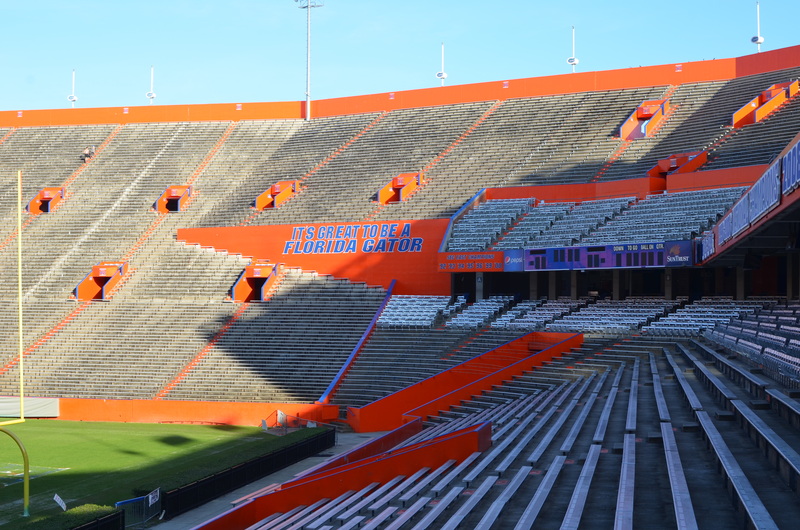 After our visit to the stadium, we wanted to see the next biggest attraction on campus. 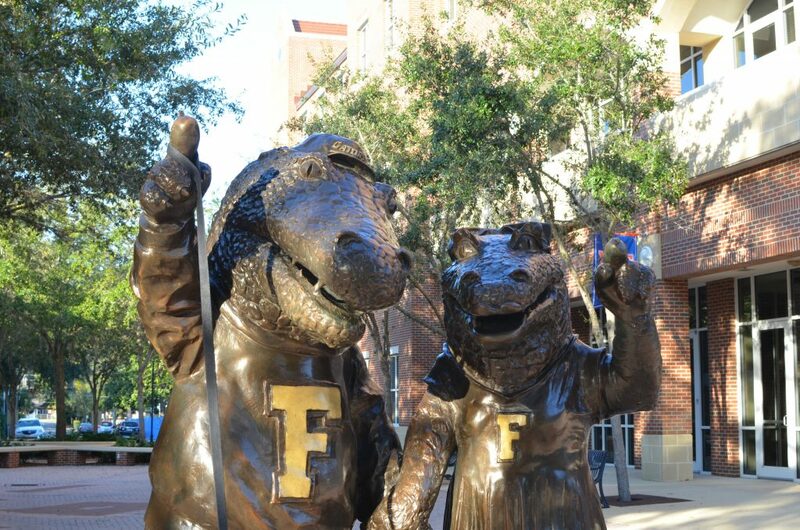 Though we had already met the bull gator, I was surprised to learn that the real mascots are two anthropomorphic gators named Albert and Alberta. After Chris told us this, we couldn’t wait to meet them. 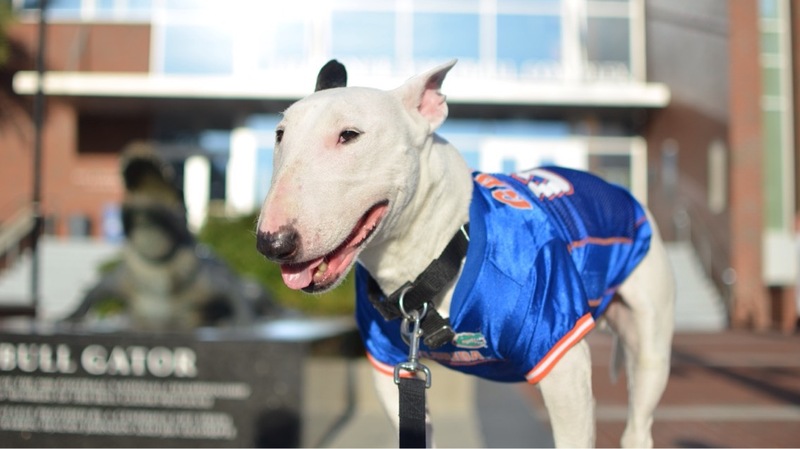 I wanted to see what they would they would think of the idea of me as a mascot. I walked over with my best bully swagger and laid eyes upon Albert and Alberta. They were wearing their Florida pride, just like me. 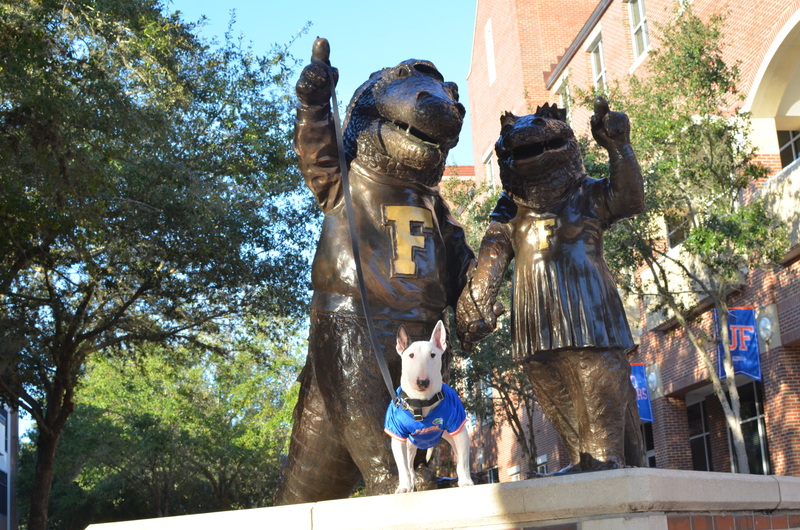 They looked like a nice older couple, who just happened to be gators and so I went and introduced myself and they loved me! 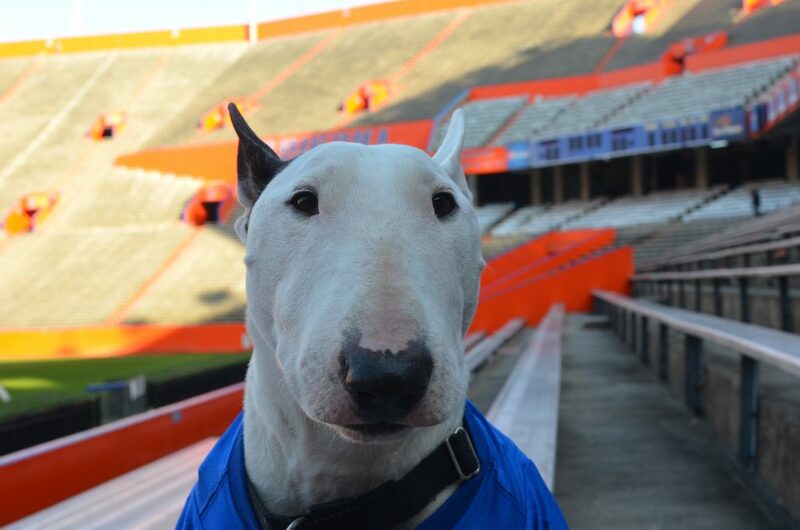 They gave me their seal of approval and I became an official mascot for the Florida Gators. 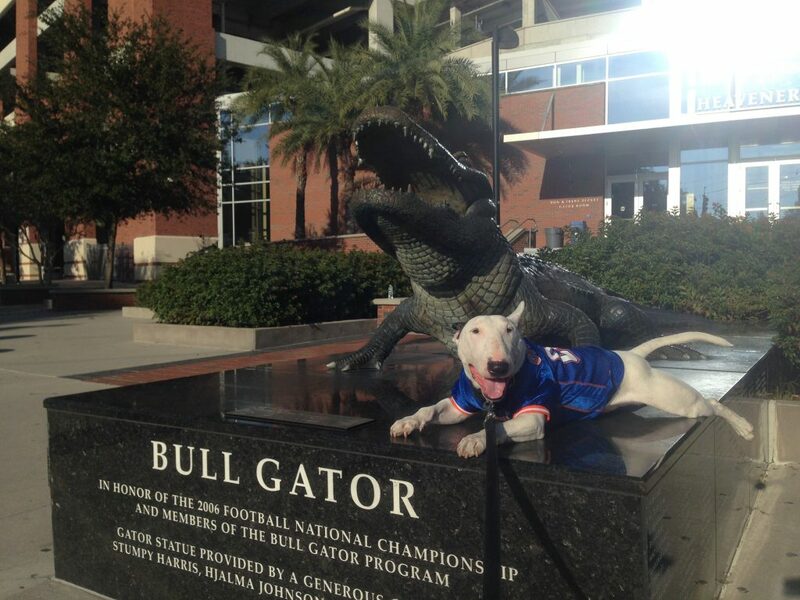 Too bad I couldn’t convince them to change the team’s name to the Florida Bull Terriers. 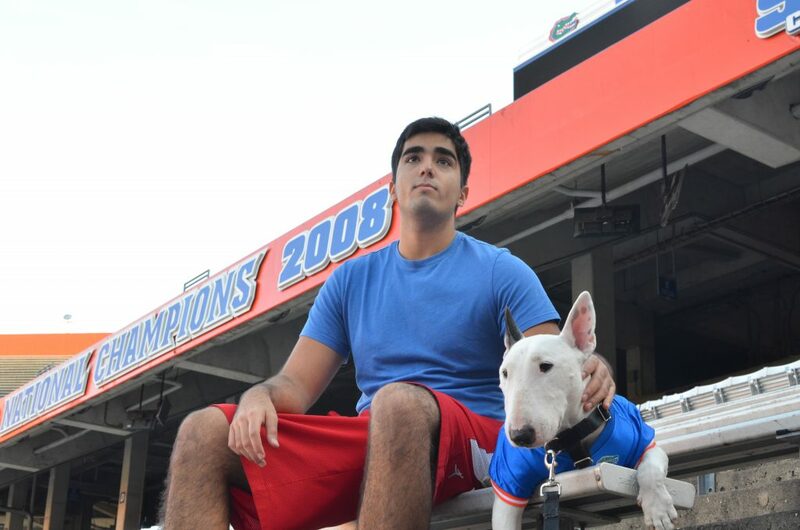 I left the campus with my head held high, proud of being, if for just that day, a Florida Gator. 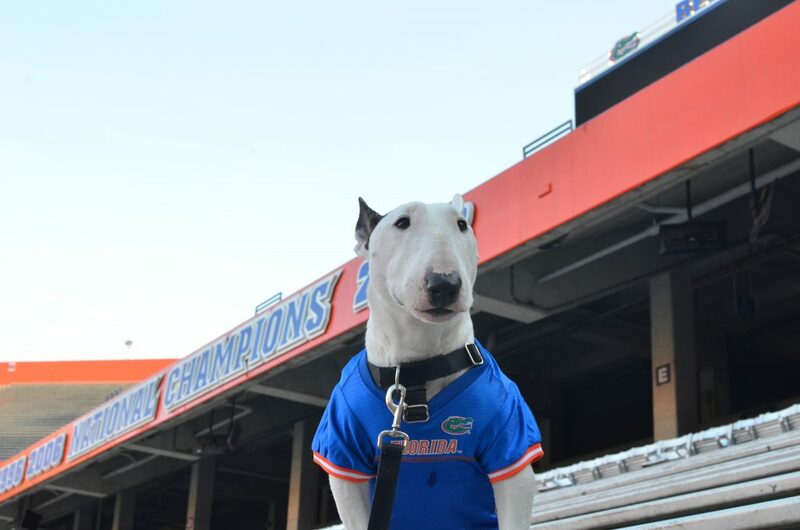 If you ever find yourself in Gainesville, pop on over to the beautiful stadium and then make a trip to see Albert and Alberta, I’m sure they’ll tell you about the time they met Rocky the Bull Terrier. Thanks for reading. Next time I’ll catch you in Daytona Beach! Safe travels!